I love baking, it is a stress reliever for me. Nothing more relaxing than having music playing and following a recipe. It allows me to clear my brain and focus on making sure my treat turns out perfect. 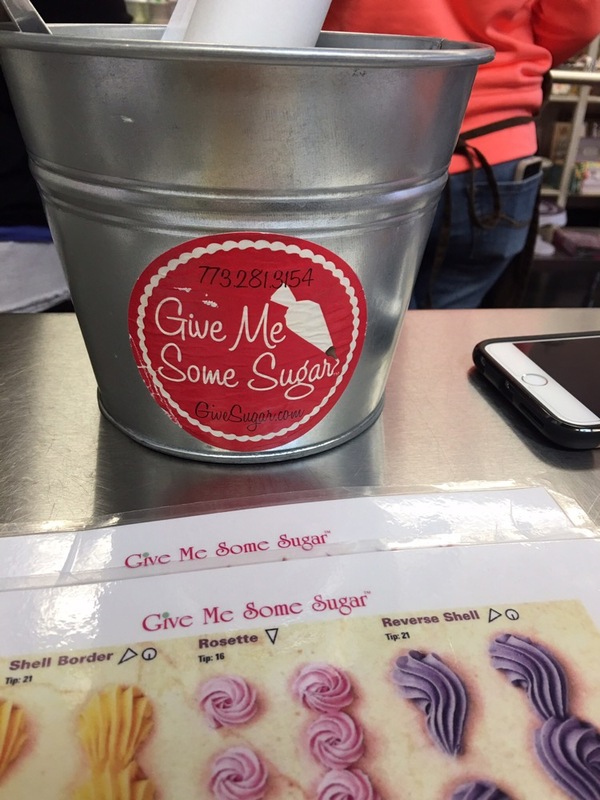 Thanks to a few Facebook posts and a living social deal I could not turn down, I decided to take a baasic cake decorating class at Give Me Some Sugar. When you walk in your nose is greeted with a sweet smell of cake and icing. The walls are decorated with cake tins. The “classroom” is small and comfy. Our instructor Kelly was great! He was a baker at Swirlz cupcakes before becoming an instructor. He was very patient and understanding. He laughed with you, not at you. He made you feel very comfortable and taught us how to not feel overwhelmed. They walk you through how to crumb coat and frost your cake. While your icing is harding in the fridge you learn how decorate using pipe bags and piping tips. By the time you learned the tricks, it is time to put those new skills to the test. By the end of the class I felt proud that I made something pretty and confident I can do it on my own. I’m nowhere near perfect, but with more practice I will look like a professional. You can too! 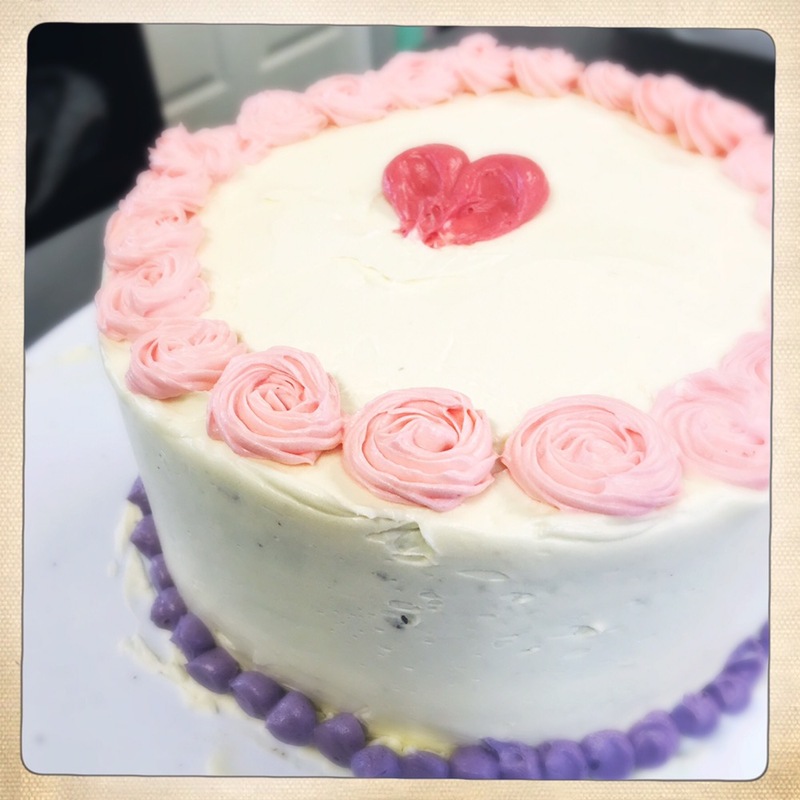 They offer a lot of other classes outside of cake decorating. 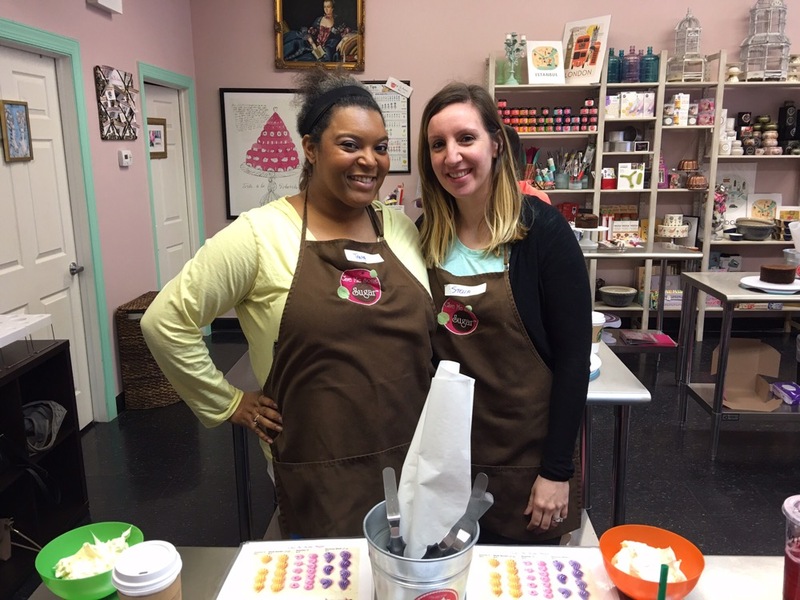 You can learn how to decorate cookies, make macaroons,croissants and more! Keep a look out for groupon and living social deals. You can find them every once in a while!